60 days isn’t long, is it? Less than two months till Sorrowline is out there! A lot has happened in the last few weeks. First up I’ve just signed off on the last round of copy edits to the Sorrowline text, so its finally done. Its a odd feeling, having stepped away from it after so long. I started writing it in September 2009, and have been tinkering with it ever since. But now its done and its time to move on. And the cover has been locked as well, so its all ready to go to the printers, which I believe is happening any time now. I have an insane urge to want to go to the printers and see it rolling off the press, but I think that’s probably getting dangerously close to Alan Partridge’s infamous trip to watch his book get pulped. Completing Sorrowline has let me focus on book two, Timesmith, and I’m pleased to say I finished the first draft yesterday. I’ve got lots of editing and re-writing to do on it now, but its good to know its coming together into something resembling a book! Finally, I took part in an interview recently for New Writing North. I won a Northern Promise Award at last years Northern Writers Awards, which helped me to get a book deal. This video is to help promote the expansion of the awards to include the North West and Yorkshire. If you enjoy writing and are thinking about taking it further I’d seriously recommend you enter the awards. You’ve got nothing to lose, and possibly lots to gain! Have a look at the video, then get writing! Northern Writers’ Awards from New Writing North on Vimeo. When I was at junior school we were asked to write about ‘The letter that changed my life’. I wrote about receiving a letter from NASA telling me my application to be an Astronaut had been successful. I recall the teacher enjoying it, and I might have had to read it out in front of the class. Memory is a funny thing, and I might be sugar coating it, but I prefer to remember it happening exactly like that. I didn’t get much further. I cheered, hugged Diane, and I understood how much this really meant to me. It was as if, finally, I wasn’t just deluding myself about being able to write. Someone else agreed. Once I’d calmed down Diane read the letter out to me: I had won a Northern Promise Award in the 2011 Northern Writers Awards. Could this be any better? 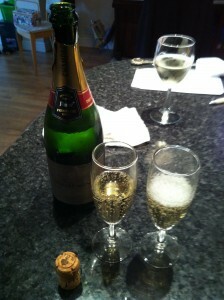 I’ve sent in an application to the Northern Writers’ Awards 2011. 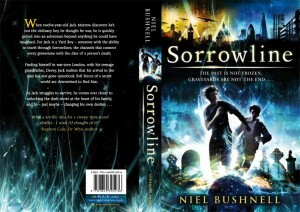 I’ve put Sorrowline in for the Northern Promise Awards. These awards aim to provide support for new writers whose work shows particular promise. Writers awarded support under this category may also be offered mentoring to develop their work, detailed manuscript appraisal and feedback alongside a financial award.